Well, we made it through the first week of Summer break, and my kids are well on their way to having mush for brains. And after this weekend’s baseball tournament, I get to take a break from my duties as shuttle driver! That is cause for celebration! 1) The last few Fridays I’ve posted outfits around flirty dresses…but the hotter it gets, the more casual my weekend wardrobe becomes. Most days you’ll find me in graphic shorts, and I just add fun accessories to kick the outfit up a notch. 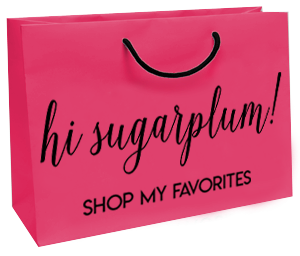 You know I love my black and white striped bag (because it’s in virtually every Sugarplum Style photo! 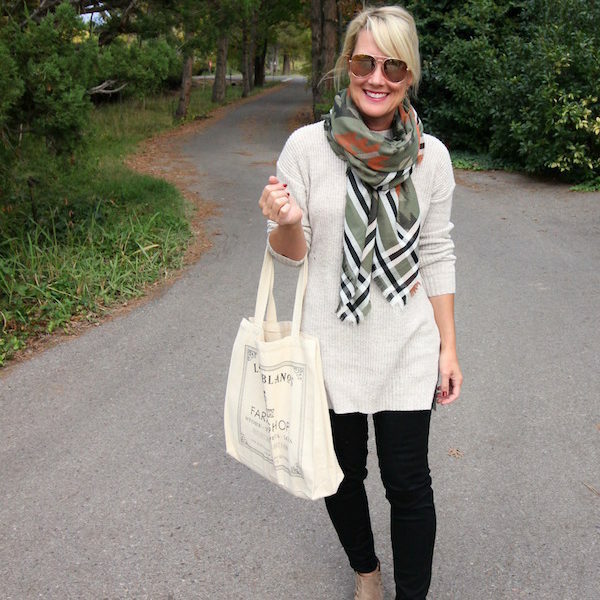 ), but I was thrilled to find this graphic tote for you guys…it gives the same punch, but is almost half the price. Of course the elephant charm is a necessity. 2) But let’s get back to dresses…which are kind of like bed-in-a-bag sets for me….everything you need for your outfit is in that one little dress! It doesn’t get any easier than throwing on a dress, a necklace and cute sandals…BAM, cute outfit done. Even better is if you find that cute dress for a great price! 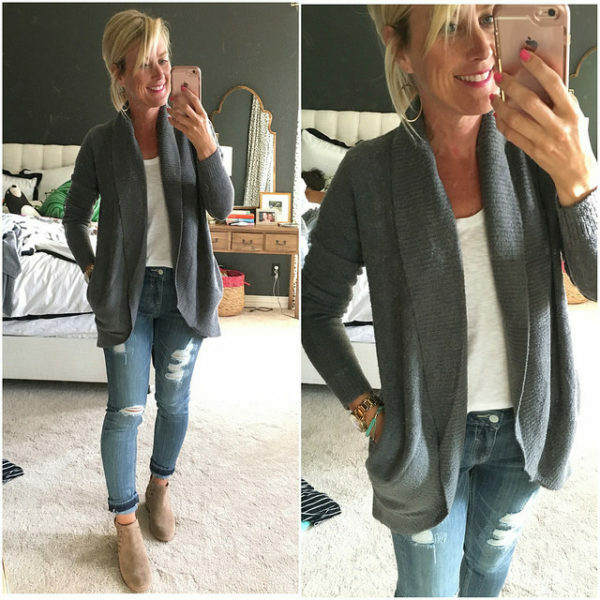 I love these…and especially love that they are each under $50! Including this one I wore in my Date Night Style post this week! 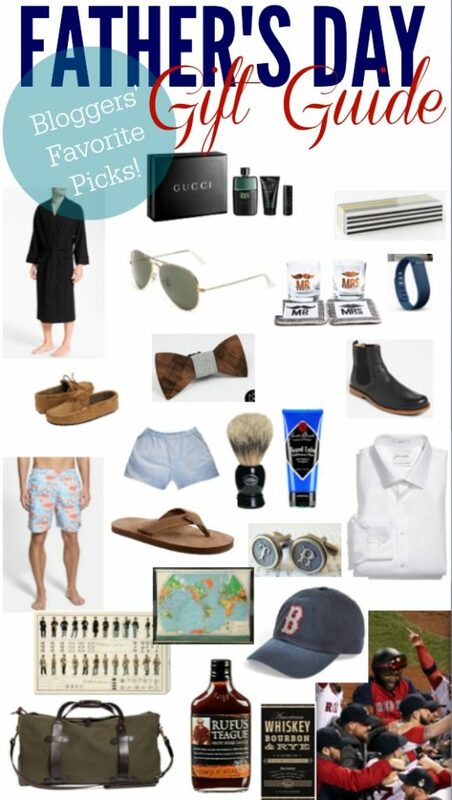 3) My friend Megan put together a great Father’s Day Gift Guide, and I was thrilled to contribute. You definitely want to check it out for last-minute ideas. 4) My daughter has reached the age where she’s asking questions about body styles and sizes. I have become increasingly aware of how closely she watches me, and I desperately want to teach her to love herself and respect the body God gave her. Carmel’s post was so real and enlightening, and inspired me to be a strong, confident woman, so my daughter can learn to be one, also. 5) I’m always inspired by Shannon’s projects, but was especially excited about her Guest Bath reveal! Her bathroom is the same layout and size as our Guest Bath, which I have a hankering to update…and she pulled off the total transformation for under $600! I’m crazy for the paneling and dark walls…don’t be surprised if you see something similar pop up here eventually. 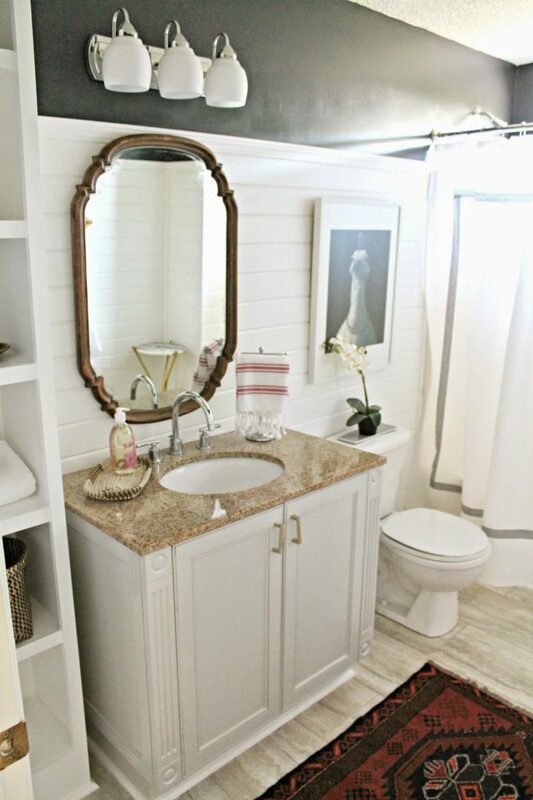 What’s your favorite part of Shannon’s bathroom makeover? Are you a fan of dresses…or do you prefer separates? Happy weekend, lovebugs…and happy, happy day to my darling baby daddy, and the dads in my life. You are all loved and cherished! Pssst…Do you want a Lulu & Georgia pouf of your very own? Make sure you’ve taken advantage of the discount and giveaway, it ends Sunday night! 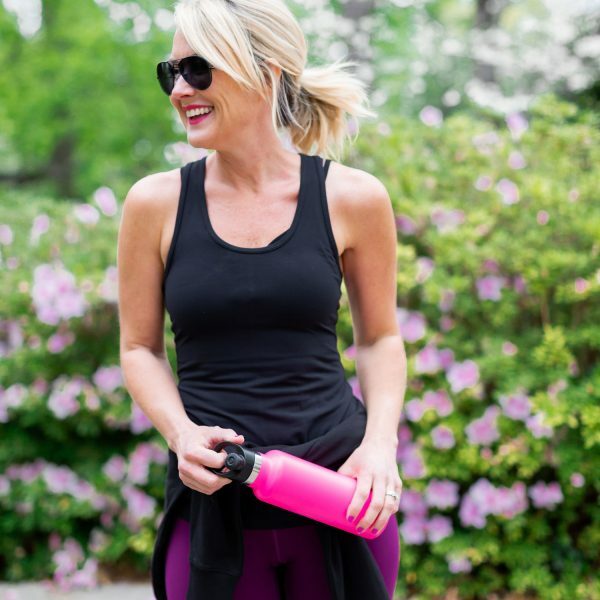 Love your Friday Five! Have a great weekend Cassie!! That bathroom is to die for! I want to do a plank wall somewhere… Just can't figure out where! The bathroom floors! I just love them!! Hope you have a wonderful weekend Cassie! Thanks for the link love cutie! I love that bathroom makeover. What a great mix!! Have a great weekend! That bathroom is awesome! And I loved Carmel's post! I love the mix of dresses and the fun prints! love that mirror in the bathroom makeover. Cute dresses 🙂 The bathroom is amazing. Hey, hey, it’s Friday!! And not just any Friday…but Friday the 13th Friday! Also, 11 days until Christmas Friday! Which means that not only are we running out of shopping days, but the weekends of holiday parties are upon us! Lucky ducks, I’ve got you covered in this Friday Five! 1) Since finding my new favorite blouse at Express, I’ve been popping in their store more often. 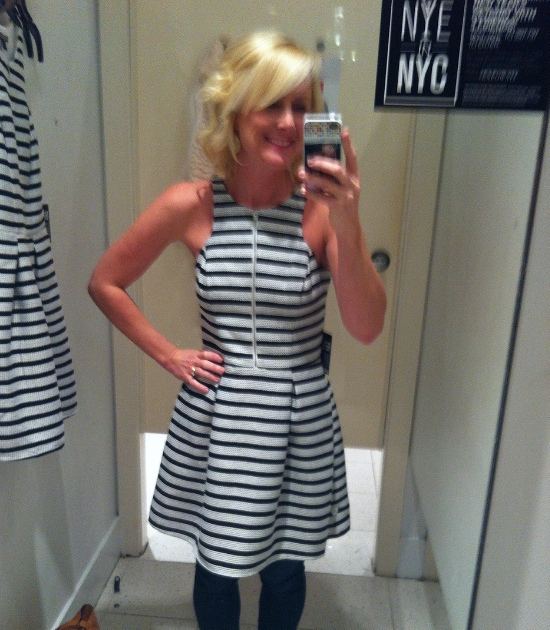 When I spotted this dress, I flew to the dressing room just hoping it’d be as cute on me as it was on the hanger. I might have done a little silent-clap and hopped up-and-down a few times when I zipped it up…before texting this blurry pic to my fellow stripe-lover, Courtney. Pretend I’m not wearing jeans under it. I hate stripping down in dressing rooms. too. If you invited us to a holiday party, expect to see me in this dress! 2) You guys really liked the Men’s Gift Guide I did last week, and asked if I had favorites for Ladies. 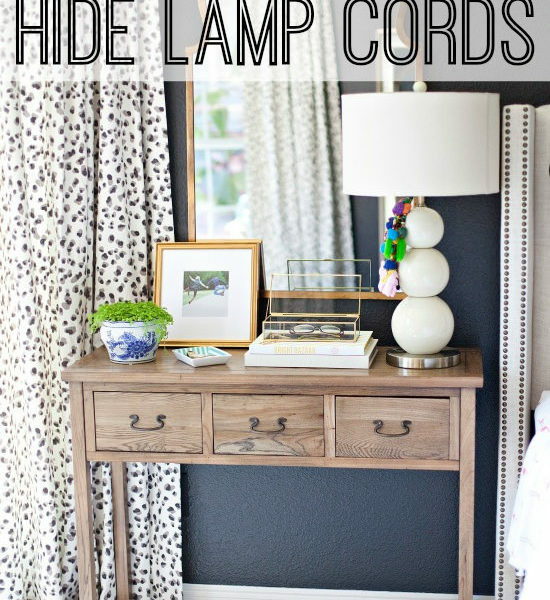 This post had several things I love, but I rounded up a few more affordable options for you. I would be thrilled to find any of these things under my tree, and I’m sure your friends, neighbors, teachers, party hostesses and mom would agree! 3) Most of us are in gift-buying-and-giving mode, not decorate-the-house mode, but I couldn’t let you overlook the West Elm rug sale. Right now they are 30% off!! That’s a big deal, and hardly ever happens. So if you’ve had your eye on one, gift yourself now! That’s how I ended up with this rug in our Breakfast Room! 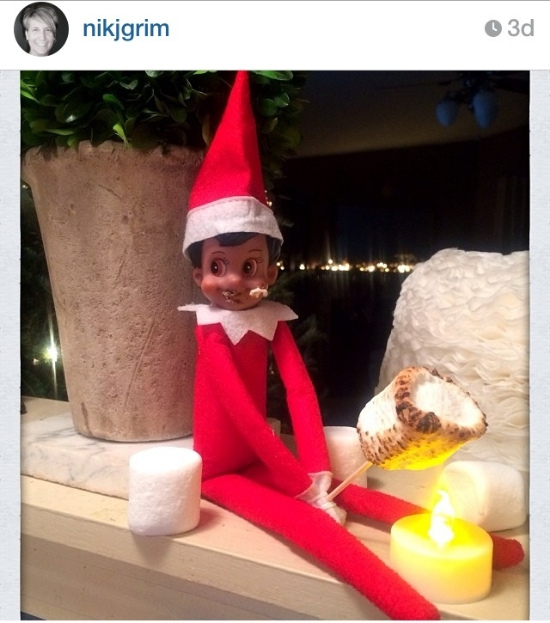 4) I’m having waaaaay too much fun with Faith, our Elf on the Shelf. She has been busy this week, and pretty clever, if I do say so! Here’s a sampling of her hijinks this week, but follow me on InstaGram to catch them all. 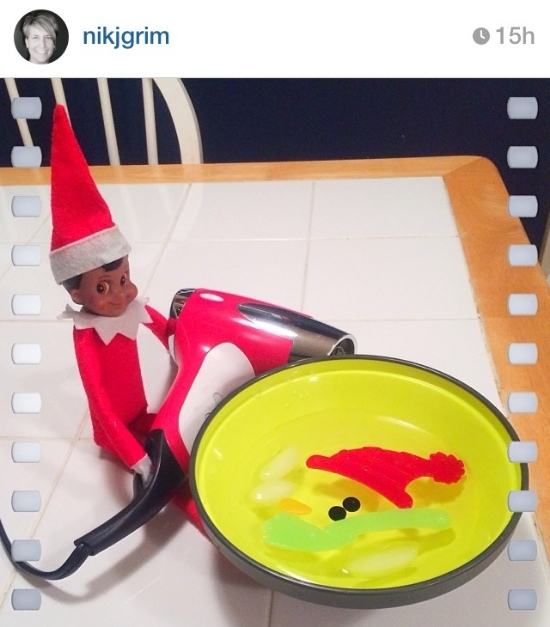 So many of you are using #HiSugarplumElfFun to tag your Elf-antics, and I love looking at them each night for ideas. Here are a few of my favorites this week. 5) And finally, I wanted to remind you guys of the best and easiest Pay It Forward you can do all season…and it doesn’t cost a dime! 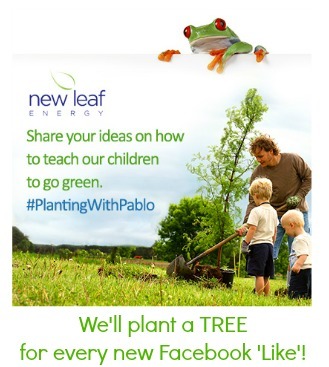 For every new ‘Like’ on their Facebook page, New Leaf Energy will PLANT A TREE!! All you have to do is click this link, and you’ve helped the environment! Don’t be an Environment Scrooge…plant a tree from the comfort of your laptop! Feels good, right?! Tell me what’s up with you this Friday! Do you agree that dress might be the cutest thing ever? Did you plant a tree? Happy weekend, lovebugs…I hope it’s full of happy and jolly! Girl! You look FABULOUS in that dress! I love it!! 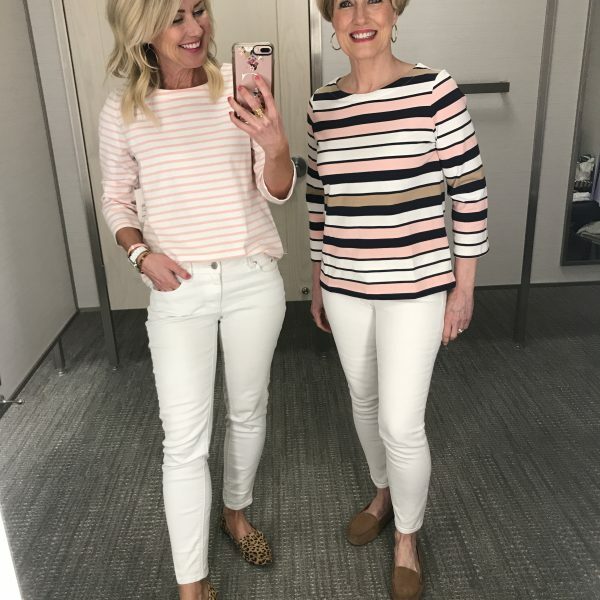 I have an obesession and love for stripes too! That dress is adorable!! Ohh, and I've been debating on that West Elm rug you have for a while now for my living room….hmmm I really need to think about it seriously now with that sale. You in that dress is the cutest thing ever! 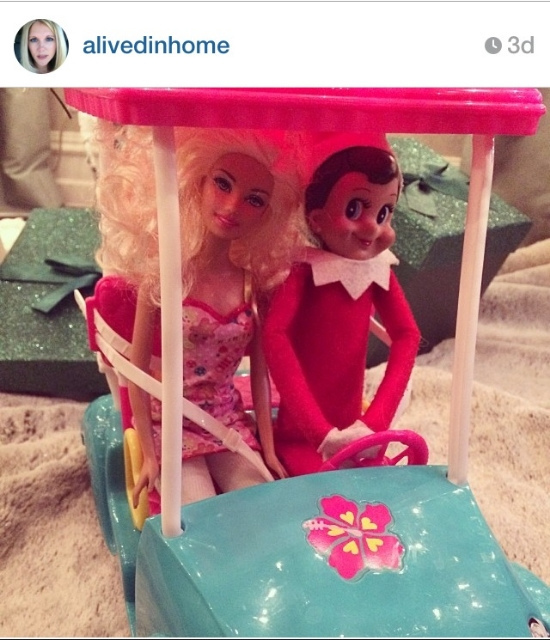 Oh and now that your elf has turned into a little perv, just wondering if you have see the naughty elf round-ups. So wrong yet funny. That dress!! Oh my lanta it is perfect! THAT DRESS WAS MADE FOR YOU!!!!!!! If they had it in 10 other colors, I would suggest you get all 10. It certain – stripes make the world a better place. As does a West Elm rug on sale! I'm in love with that tray! 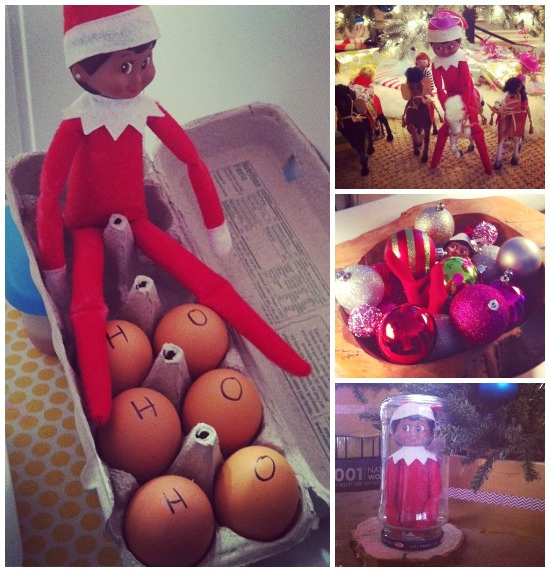 And those elf antics are so cute! My son is only 1 and I hope the elf is just as popular when he's old enough to get into it! Love that dress! Amazing and the absolute perfect party dress! We hope you all are doing well. We enjoyed meeting you at the Haven Conference 2013 in Atlanta. We have an exciting and fun idea we would love you to participate in with us here at Brick Anew. Send us a photo of your Christmas Tree, fireplace, and web address and we are going to have a Christmas Haven Maven FEATURE on our website. We will directly link back to each one of your websites. Call this the “A Merry Haven Christmas” Come one, come all, send us your photo’s today before the big man with the long white beard comes to town! This will be a lot of fun and we will enjoy seeing all your beautiful creations.